Charming older home & one of the originals in Waverly featuring a lg. 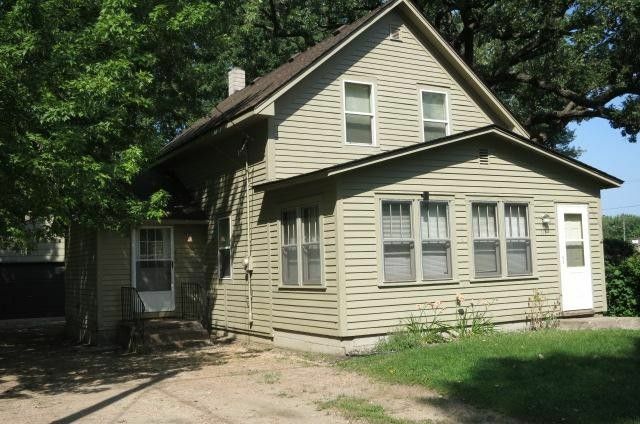 eat in kitchen w/ breakfast area, nicely sized living room, quaint enclosed front porch and laundry on the main level. Upstairs area has 3 bedrooms with nice closet space. Awesome wooded backyd has a 10x12 storage shed w/ electricity and a large oversized 2+car heated garage (28x28) w/ workbench & shelves. Newer windows, water heater & some flooring. Home Warranty incl.